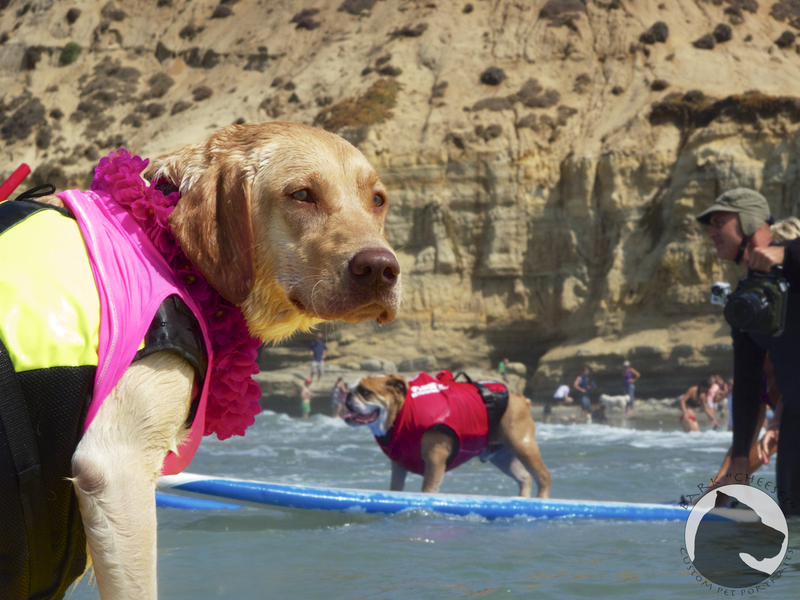 The Helen Woodward animal center hosts a fund-raising surf event every year at Del Mar dog beach, this year was the 7th. 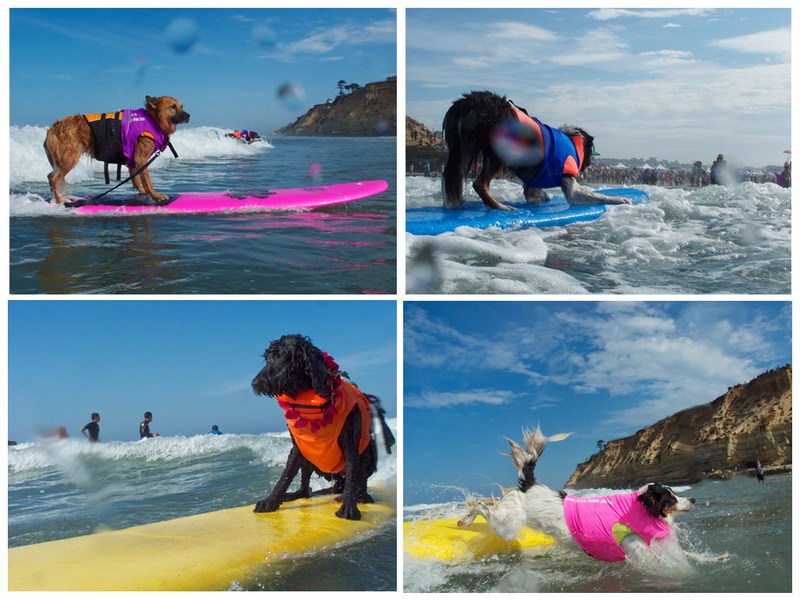 If you have never been to a dog surfing event here are the basics. There are the surfers, also known as surFURs, some have big money sponsorships with custom boards and others don’t even own a board and just rent one. There are the judges who score each of surfers on 7 waves during their 20 minute heats. There are also the fans, spectators as well as the media. Between events many of the dogs, and their owners, are giving interviews to the different media outlets or just relaxing on the beach. Some belong to clubs and others just do their own thing but no matter what they are all there to have fun and show off their surfing abilities. The event is well photographed. Many people stay near the shore with really long lens and keep their equipment dry. Some of us put our cameras in a housing and get out in the water. 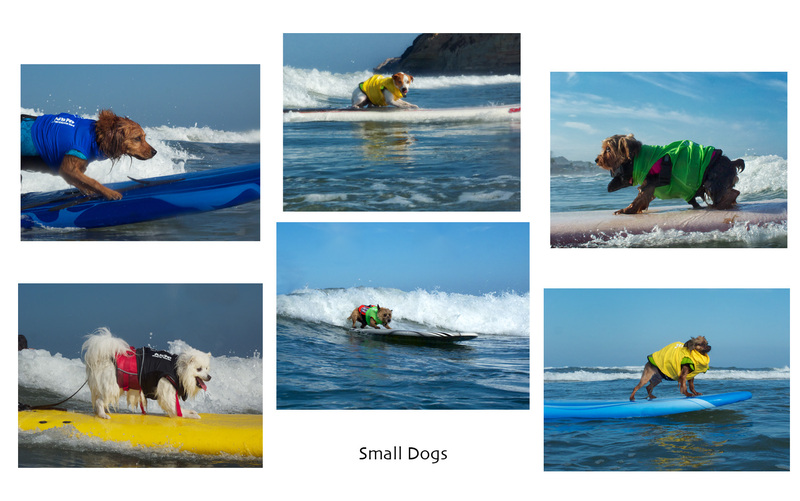 I do that for a couple of reasons, I don’t have any long lens and I like the perspective I get being in the waves with the dogs. Shooting in a housing is a bit more challenging with less access to the controls and it is a constant job to try to keep the front port clear of water spots, which I’m not always successful at, but it is how I like to approach the event. The variety of surfers is vast, from a couple of pounds to 100 pounds. They get divided up into 4 size classes, small, medium, large and extra-large. No matter what the size is of the dog they all have a support group. 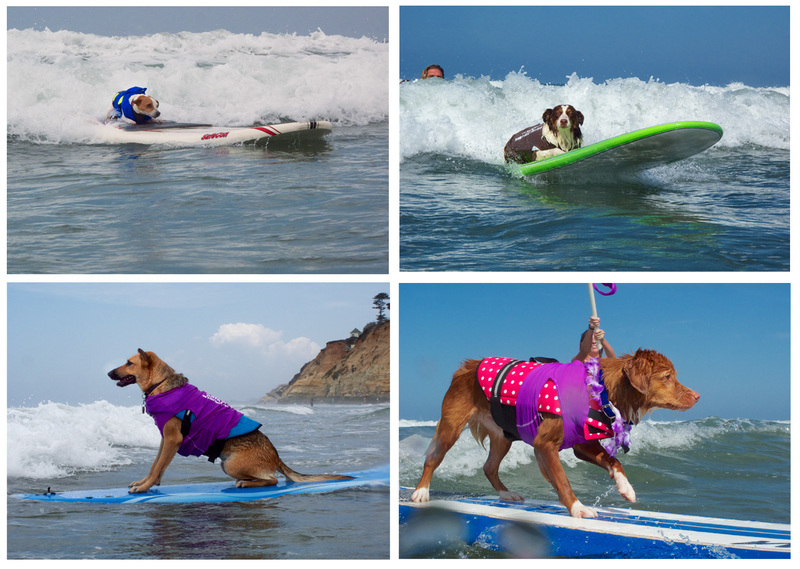 There are 1-2 people to push the board offshore and pick the right waves to take, there are people who stay inshore to catch the board and the dog if they become separated and there is a flag person to let the judges know that the dog with the matching colored vest is on a wave and to be watched. 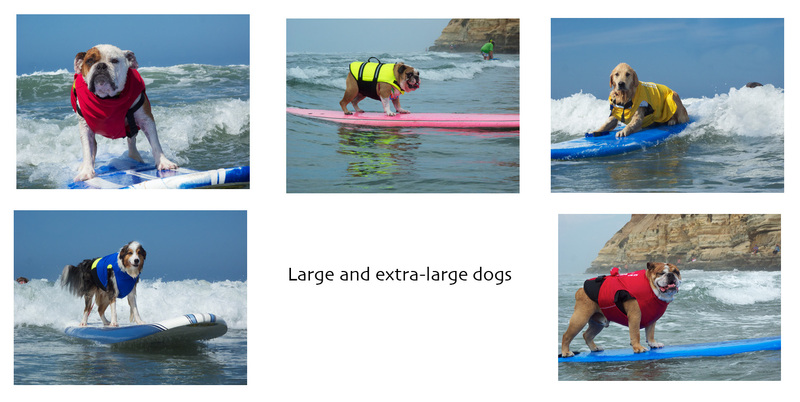 Additionally all the boards are foam and the dogs where PFD’s for safety. Each dog has his or her own style. Some stand, some sit or lay down, some face forwards and other backwards. Some even add a little flair by picking up their feet. This year’s winners are all veteran surfers. 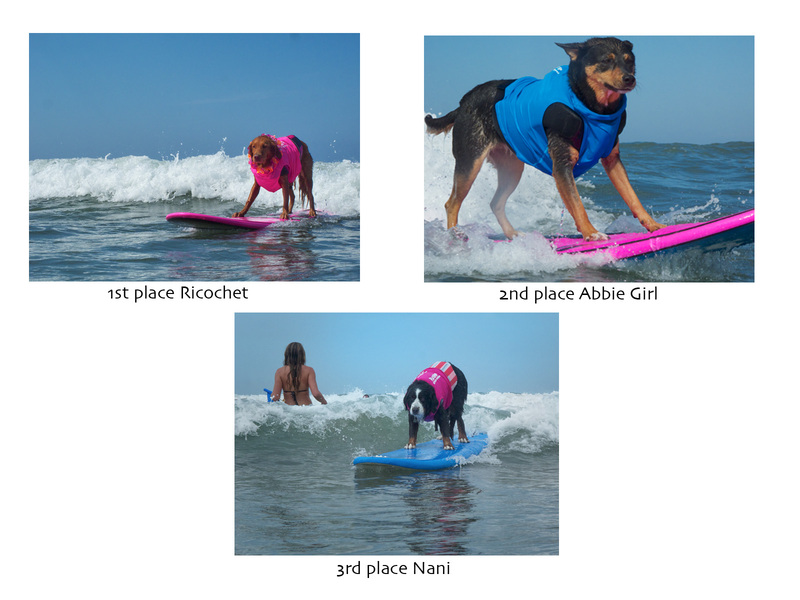 Ricochet is a therapy dog who works with disabled surfers and for Nani this was her last competition before retiring from the competitive surf circuit. 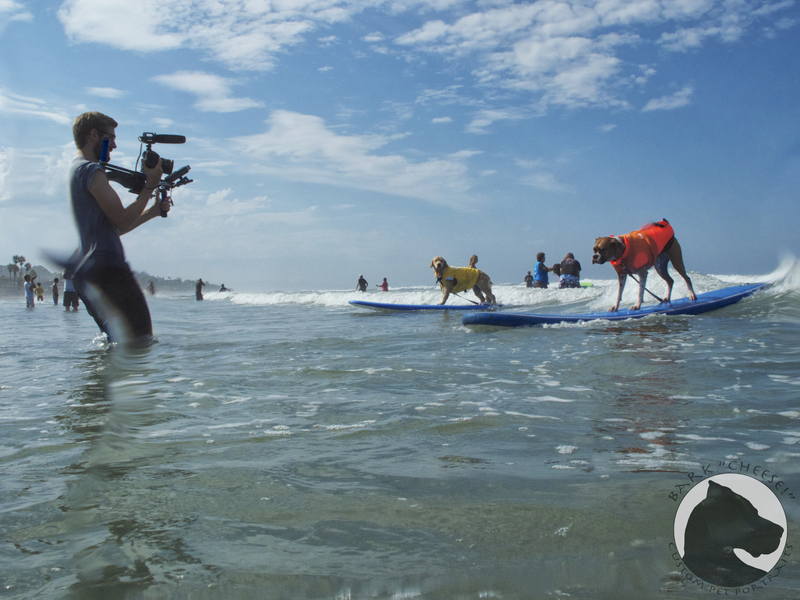 If you are interested in teaching your dog to surf check out SoCal Surf Dogs. 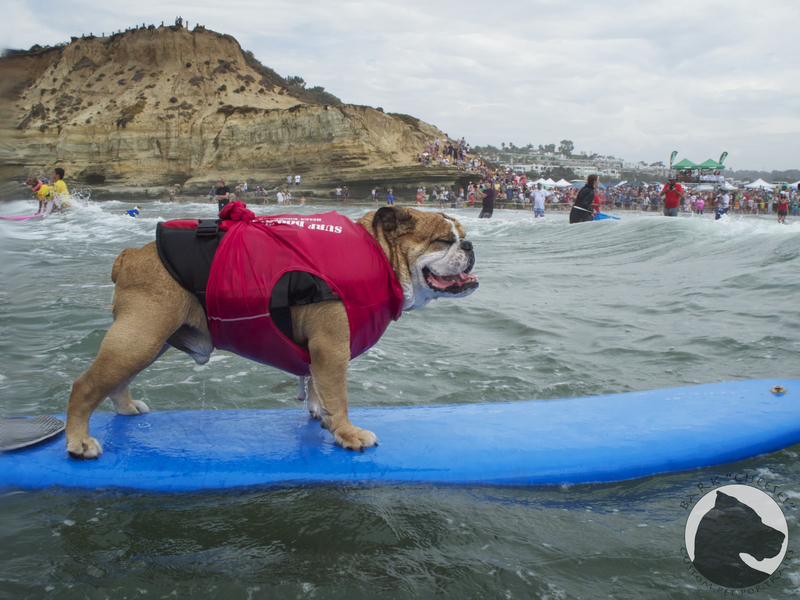 This entry was posted in new and tagged dog beach, Surf Dog, Surf-a-Thon, surfing. Bookmark the permalink. Wonderful post and photos – thank you!